DCM Lewis Lukens is the chief operating officer of the US Mission to the UK. As a career diplomat, Lukens has previously worked as the US Ambassador to Senegal, US Ambassador to Guinea-Bissau and the head of the State Department's Executive Secretariat during Hillary Clinton’s time in office. Since moving to the UK in 2016, Lukens has been Deputy Chief of Mission at the US Embassy, which included performing the role of Acting Ambassador to the UK during the Obama/Trump administration transition. I sat down with the DCM during his recent visit to the University's POLSIS department to explore the US/UK special relationship and his perspective on recent global events. What brings you to the University of Birmingham? This is my first trip to the Midlands. I came up yesterday and spent the afternoon at the University of Warwick, and I’m doing the same programme today – meeting with students, meeting with some faculty, and then I’m giving a talk in a couple of hours on the importance of the special relationship. For our readers who are not familiar with diplomacy, how would you describe your role at the US Embassy? The Deputy Chief of Mission functions as a chief operating officer of an embassy; responsible for managing all the various components of what, in this case, is a very large embassy to make sure that we’re all aligned and working towards the president’s agenda here in the United Kingdom. You have previously called yourself a ‘product’ of the special relationship between the US and the UK through your grandparents’ marriage. 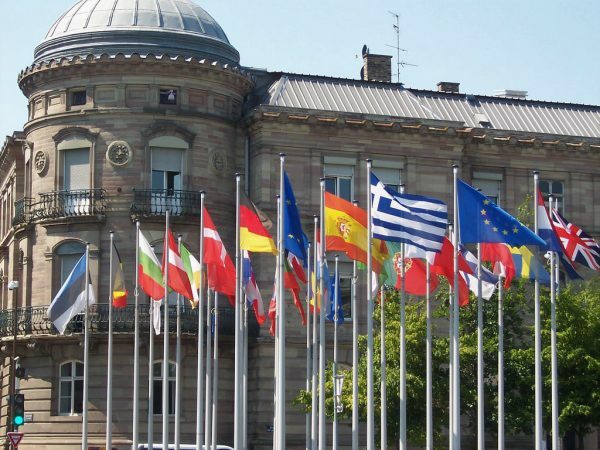 Why is the relationship between the two countries ‘special’? There are so many reasons I think why the US/UK relationship is so special. One of them, as you have just noted, is family ties. There are incredibly close family ties across the Atlantic, and in my case my British grandfather married my grandmother who was an American student on a semester trip to the UK. The trade ties are also incredibly important. We have about a trillion dollars of trade back and forth. There are one million jobs in the United Kingdom that are supported by American businesses and companies and a million jobs in the United States that are supported by British companies and businesses, so the trade is a very important part of our special relationship. And our shared security in working together through intelligence sharing and our military operations on threats that exist around the world. The UK is our closest partner on addressing these. Whether it’s in the Middle East or the Far East, we work very closely on a whole range of issues. At the moment it’s hard to tell the outcome of the negotiations, but what do you think the effects of Brexit will be on the special relationship? At the end of the day, I don’t think that the special relationship will be diminished by Brexit. I think that it will possibly be enhanced. We hope it will be enhanced. Our president has been very clear that he’s eager to explore very quickly after Brexit a US/UK free trade agreement, and we stand ready to do that, although we need to see what Brexit looks like before we really get into the details. But we see Brexit as an opportunity to take our relationship to the next level, and I think the British government also sees it that way. And you personally see that a free trade deal is possible? It’s on the table? Absolutely – we are committed to making a free trade deal work. How easy or difficult that is will depend a little bit on what Brexit looks like and how closely the United Kingdom remains aligned with the European Union, but, however Brexit turns out, we in the United States are very keen to see a free trade agreement between our two countries. Also making major headlines this week is the recent climate change report that found that the world is completely off track in terms of limiting global warming to 1.5˚C. After the US pulled out of the Paris Agreement last year, is there a way that the special relationship can help the US come back on track with the UK in terms of climate change policy? We continue to tackle climate change in the United States and we have some states that are really out there doing incredible work. Our emissions have actually gone down to a greater degree than they have here in the United Kingdom. The president felt that the Paris climate agreement tied our hands and restricted the ability of our businesses to invest and create jobs in the United States. But pulling out of the climate agreement did not mean that work on addressing the problems stopped in the United States. And we continue in the United States – our companies, our states, our citizens – to aggressively look at ways to reduce our carbon footprint. You have been Deputy Chief of Mission at the US Embassy under both President Obama and President Trump, including performing the role of Acting Ambassador during the transition. Have you felt any change in the nature of the relationship between our two countries in this period? It’s been an interesting time on both sides of the Atlantic. We had a transition a year and a half ago and now we have a president who is clearly bringing a different model of leadership to the presidency. He brings much more of a businessman’s approach to the job. He communicates differently to how previous presidents have. But he’s very clear on his objectives, and his commitment to the US/UK relationship is as strong as any president I’ve ever seen. On the British government side, Brexit has obviously been something that has consumed a lot of energy and effort over the last two years, and I think we’re on the home stretch now. But it’s been a fascinating time to be involved in diplomacy and politics on both sides of the Atlantic for the past couple of years. 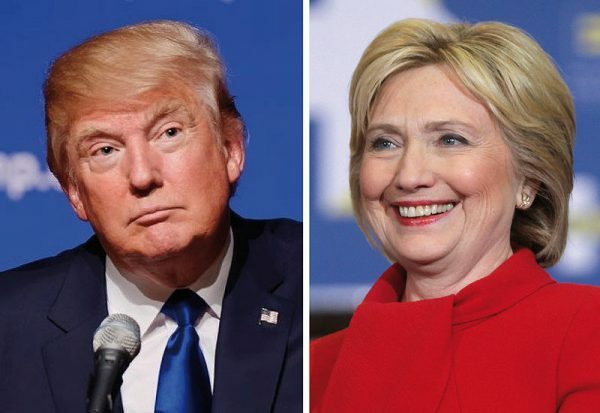 You have previously worked quite closely with Hillary Clinton during her time at the State Department, and now for the man who not only defeated her during the election but also has openly advocated for her imprisonment, Donald Trump. What is your relationship like with the president? I work for the president. I haven’t met the president, but he is the head of the executive branch; he’s ultimately my boss. I’ve worked for five presidents and about ten secretaries of state over the thirty years of my career. These aren’t personal relationships, these are work relationships. US career diplomats are civil servants. Our duty and commitment is to the constitution, the people of the United States. And the work that the team that I manage at the embassy does down in London is committed to the president’s objectives of shared security and shared prosperity, and we get up every day and find ways to enhance both of those. In June 2017, you tweeted support for Sadiq Khan’s ‘strong leadership’ in the aftermath of the London Bridge attack, which the New York Times saw as a ‘quiet revolt’ against the president, who was vocally critical of the London mayor’s handling of the situation. Some saw that as a public challenge, so what was your response to that? It certainly wasn’t intended as a challenge. I would never challenge the president. I think in my case the tweet was a public statement of support for a friend and ally of the embassies – the mayor of London – with whom we’ve worked very closely, at a very difficult and tragic time in London. And it really was just a public statement of ‘we’re with you’ and ‘we’re with the British people in this difficult time’. So there’s no question of your trust in the president? Last month, Theresa May stated that – like you – she does trust the president, but she has also spoken publicly against his judgements, such as with the notion of suing the EU. What is the relationship like between them? I saw them together when the president was here in the United Kingdom in July. I think that they have a very constructive and positive relationship, certainly a warm personal relationship – I saw that in person when they were together. I think they recognise that our countries are better working together to address some of the critical global issues that we face, and we’re better addressing them together than addressing them separately. They have an excellent working relationship, and they talk together frequently and see each other at international meetings. My sense is that it’s a very strong relationship. When the president visited the UK in July, hundreds of Birmingham people took to the streets to protest against him. A similar protest happened in London but with thousands more people, including the controversial Trump balloon. Do you think that the British people respect the president? One of the great things about both of our countries is freedom of expression and the freedom to demonstrate peacefully and to make your political views known. The president is no stranger to protest, it happens in the United States as well as here in the United Kingdom, and I think he respects the right of people to be able to do that. From my interactions with the British people there’s great respect for the office of the presidency and what that represents. The president came in July on a working visit, but is a state visit still in the pipeline? It is still in the pipeline. We don’t have a date set yet, but we certainly anticipate that there will be a state visit in the next year or two. 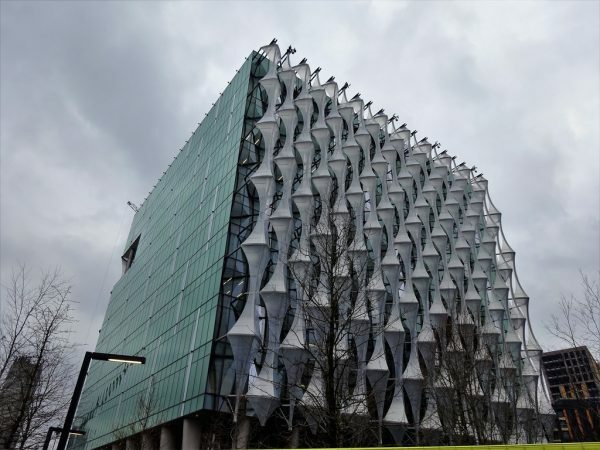 Sticking with the notion of the US in the UK, what are your thoughts on the new US Embassy in Vauxhall? It’s great. It’s a fantastic building. It has state of the art technology and environmental features and it’s just a pleasure to work in that building. It’s open, it’s bright, the workspace flows well. My sense is that the people who work in the embassy – we have about 1,000 employees – are happy coming to work every day because the space is so great. The president has stated that the embassy is in a ‘lousy location’ compared with the previous building in Grosvenor Square and it’s been widely reported that it cost around $1bn – has it been worth the money? No US taxpayer money was spent on the project; the new embassy was completely funded by the proceeds of the sale of the old embassy. And as far as the location, we’re in central London. It takes me less time to get to a meeting at the Foreign Office from the new embassy than it used to take me from Grosvenor Square, so I have no sense that we’re isolated or in a bad location. 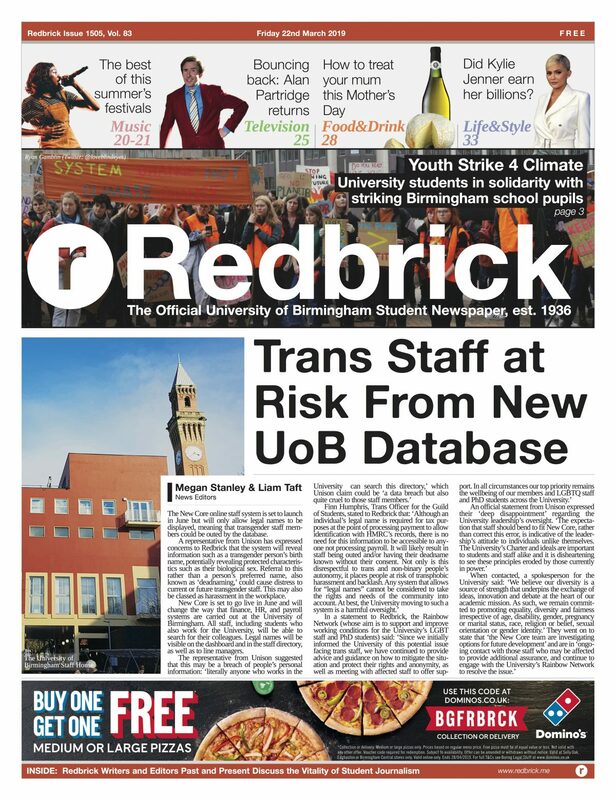 Finally, over the years, the University of Birmingham has seen two alumni become Prime Minister of the UK – Neville Chamberlain and Stanley Baldwin. What is your advice for students looking to work in the world of politics? It can be a tough world. The politicians who I have seen succeed are the ones who genuinely follow their passions. The voters can spot a fraud easily, so for people interested in going into politics I would say: identify what your passions are, what you care about, how you think you will make a difference in this world, and then follow that in a genuine fashion and you’ll do well.